Remote Annamite Mountains of Northeast Laos. Few foreigners come here. I'm way off the tourist trail, maybe the only westerner for many miles. Where I'm going, there are no amenities. I’m heading east out of the Plain of Jars, into a part of Laos even more remote. This half sized, bare-bones bus is taking me into Houaphan Province, towards the Vietnamese border. Few foreigners go there. As the rickety local bus chugs along, we rumble our way over the rolling hills east of Phonsavan. But these relatively easy roads don’t last. Soon we are off the Plain of Jars, curving in and out of the Annamite Mountains. Meanwhile, our little chicken bus stops in just about every roadside village along the way. Soon every seat is taken, and the undersized bus is packed. Since this bus was made for Asians and not westerners, I don't have much leg room either. With my knees jammed into the seat in front of me, I pull my knees up in a vain attempt to get comfortable. With no seats left, a teenager stands by the open side door, giving us a fresh breeze of air as we drive on. There’s no air conditioning on this bus, but since we are in the cool air of the high altitude, it isn’t really needed. The views are gorgeous. Most of the surrounding mountains are covered with trees or overgrowth, and there are few signs of civilization. Looking away from the highway into the distance, few highland villages are visible at all. Even for Laos, the population density in this region is very low. The curving, sloping roads of the mountains make some on the bus queasy. As we descend and curve around the swtichbacks, the standing teenager vomits more than once. Now I know why the poor kid was standing by the door. In some areas, we pass brand new, thin power poles that have just been installed. Strangely, they are painted blue. They don’t have power lines on them yet, but they are coming. It’s an encourging sign of development. First come sturdy bridges, and then a paved highway. Next comes electricity, and improved communications follows. Hopefully more schools, and access to better markets for the farmers will be next. The highland peoples who live up here, are very different from the lowland ethnic Lao. This is hill tribe country. There are many different ethnic groups here, and some don’t even speak Laotian. The differences up here extend far beyond language, with numerous cultures and religions. Rather than Buddhism, many of these hill tribe folk still practice Animism. Driving along one remote hill, our bus passes four teenage hill tribe boys walking by the roadside. Two wear camouflage shirts, and one carries an old US made M-16 rifle, slung over his thin shoulder! The boy is so short, that the M -16 almost looks larger then him. He is dwarfed by the old weapon. Further down the road, the bus passes three Hmong men carrying crossbows. Despite seeing these armed men, I don’t think that there was any local unrest going on, at least not today. They were probably just out hunting, since they didn’t even look up at the bus as we passed. In poor remote areas such as this, men have to rely on wild game to round out the family diet. Still, there have been occasional uprisings by the Hmong here, notably back in 2004. This is one of the most remote regions of Laos, and back during the Vietnam War years, it saw plenty of fighting. Just north of here, not far from the Vietnamese border, is a mountain sacred to the Hmong known as Phou Pha Thi. This mountain also became very valuable to the US during the war, as it housed a secret base. The site is now overgrown and abandoned, so I won’t be able to get any closer to it than the highway, but Phou Pha Thi may have been America’s most secret military installation in all of Southeast Asia. Even more secret than Long Tieng, it was known as 'Lima Site 85'. This remote mountain housed a small radar installation. 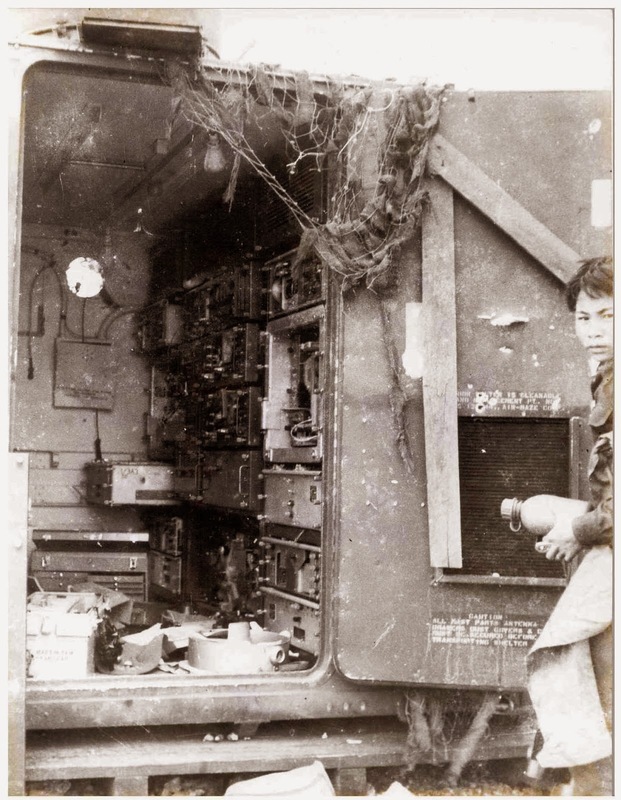 Used for tactical air navigation, it was operated by a small group airmen from the US Air Force, working undercover. Since the tall mountain was so close to the Vietnamese border, the radar could reach all the way to the skies over Hanoi, about 160 miles eastward. This remote little base in Laos was an important key, for the American bombing campaign over North Vietnam. As secret as this base was, it wasn’t long before the Vietnamese found it. With so many North Vietnamese (NVA) soldiers running around northern Laos at the time, they must have been astonished to find this base so close to their own border. Once located, they quickly set out to destroy it. Soon after, the skies over Lima Site 85 were the scene of perhaps the most improbable aerial dogfight of the entire war. The North Vietnamese sent three old Russian Antonov 2 biplanes to attack the remote radar site. When this surprise attack occurred, there were no American fighters nearby to fight them off. So an Air America pilot counter-attacked with the only aircraft available: a Huey helicopter! Since the chopper was faster than the biplanes, an accompanying crewman was able to shoot down one of the biplanes from the door, using only a rifle. Like everything else related to Lima Site 85, the story of this bizarre aerial battle remained an official secret for years. With the failure of their air assault, the NVA sent in thousands of Vietnamese soldiers to take the base from the ground. The small mountain installation was defended by outnumbered Hmong militia. When the NVA made their final assault on the radar base one night in 1968, fighting was fierce. As the situation deteriorated, the American airmen joined the battle. 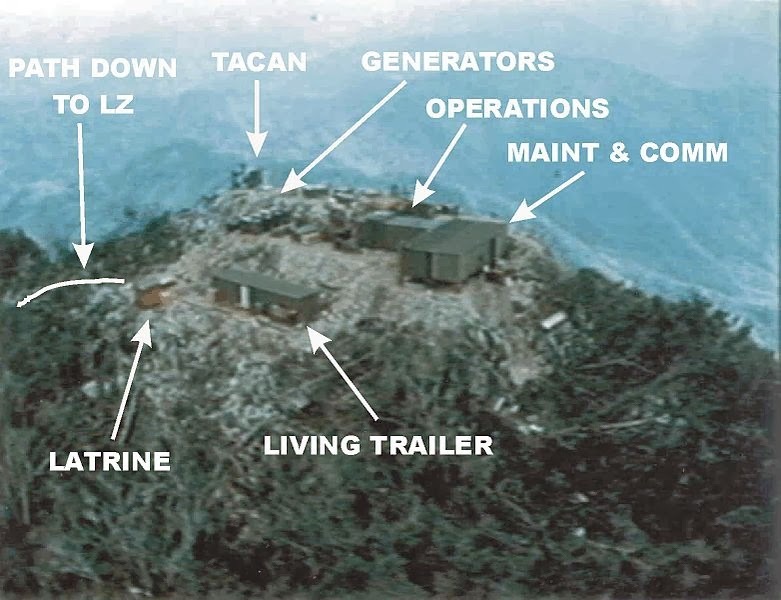 When NVA commandos managed to climb the mountain and reach the radar site, the airmen’s time ran out. As the base fell into enemy hands, some of the radar technicians attempted to rappel down the steep mountain cliff. But they were killed by the NVA before they could reach the jungle below. 11 of the brave airmen lost their lives, while only five Americans were rescued. It’s only recently that the US government publicly honored the men lost on that night so many years ago. In 2010, President Obama awarded the Medal of Honor to the family of Chief Master Sgt. Richard Etchberger of the US Air Force. Etchberger had fought bravely on the mountain, managing to call in air strikes, while protecting other wounded Americans around him. But he didn’t survive. After boarding a rescue chopper, he was shot as the helicopter lifted off from the mountain. Most of the other Americans that died there are still listed as Missing in Action today. Hundreds of Hmong, and North Vietnamese soldiers also died in this unknown battle for this remote mountain, deep in the northeast of Laos. Is it at all possible to find someone to take me to the site of Lime Site 85? Or completely inaccessible? Thanks for your comment. I have not heard of any tourists ever going to that site, and I have not heard of any guides to go there. I read a news story some time back, that there was a joint US military - Laotian government search team that went there to look for the remains of the missing airmen. It is in a very remote area, and there are likely old landmines and unexploded ordinance there, so I would not recommend it.